The 25 year old who hails from Sioux Falls in South Dakota, jetted into Chester ready for his debut at this weekend’s games against Leicester Riders and Milton Keynes Lions. 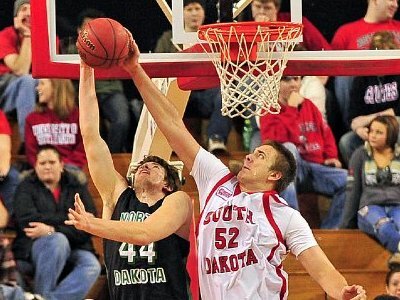 The 211cm center started all 32 games during the 2009/10 season at the University of South Dakota (NCAA 1) averaging 7.7 points, 4.5 rebounds, 1.1 blocks and 1.5 assists in 24 minutes per game. Smith reached double figures in six games, including topping the 20-point mark twice finishing second on the college team with 143 total rebounds. Steve Smith will play his first game on Saturday 8th January away to Leicester Riders and then will kit up for The Jets home game of 2011 against Milton Keynes on Sunday the 9th January. The Cheshire Jets currently sit second in the BBL League table behind local North West rivals Mersey Tigers.